The crypto-market has experienced an impressive rise last year. And despite all the attention drawn by the crypto Big-Boy, Bitcoin, Ethereum has grown to become a major cryptocurrency, only second to Bitcoin in terms of market capitalization and value. Though Bitcoin’s market capitalization remains the highest, the circulation of Ethereum increased significantly to facilitate as much trade as Bitcoin electronically. Like other leading cryptocurrencies, Ethereum is now being used to pay for goods or services electronically in shops that accept cryptocurrencies. However, Ethereum differentiates itself from other cryptocurrencies by enabling the development of smart contracts through the use of an advanced technology. Through the Ethereum blockchain platform, users can execute smart contracts that require parties to fulfill certain conditions and validate those conditions automatically using a code. The platform also dictates whether an asset can be transferred to a specific person or whether it should be sent back to the originator. These capabilities have contributed to the growing adoption of Ethereum not only by businesses, but also by financial institutions. “Definitely the most promising blockchain for the most complex ecosystem, thanks to smart-contracts support. The people and organizations behind Ethereum Foundation understand the fundamental principles of blockchain technology which should be focused the most to push it into wide scale adoption,” says Vladlen Manshin, BCSHOP.IO CEO and Founder. The smart contract functionality available on the Ethereum platform has made it a prefered choice for companies launching initial coin offerings (ICO) as Alexey Burdyko, the CEO and Founder, Play2Live.io observes. “Vitalik Buterin’s blockchain is arguably the most widespread option for enterprise use with its smart-contracts technology. While the amount of Ethereum-backed ICOs announced daily continues to rise, its value and utility are anticipated to increase exponentially,” Burdyko says. But even with its increasing adoption and rising value, the Ethereum blockchain is still experiencing some challenges. Scalability is a problem on the Ethereum blockchain as Burdyko observes. “Indeed, there are well-known issues related to the scalability of the Ethereum blockchain, but some proposed solutions (sharding, Plasma, Truebit etc.) could theoretically mitigate the cost of expanding the storage as the blockchain continues to process a growing number transactions,” says Burdyko. Another challenge is the distribution on Ethereum blockchain. 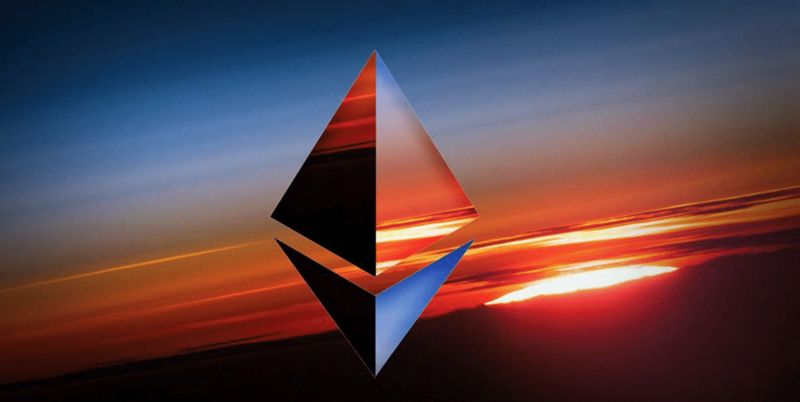 Compared to Bitcoin, Ethereum is not distributed as well which allows few ethereum whales to own huge amounts of Ether. Also, Bitcoin is applied as a currency in real transactions, an aspect that reduces its volatility compared to Ethereum.